TOMEK and other ...THINGS!!! 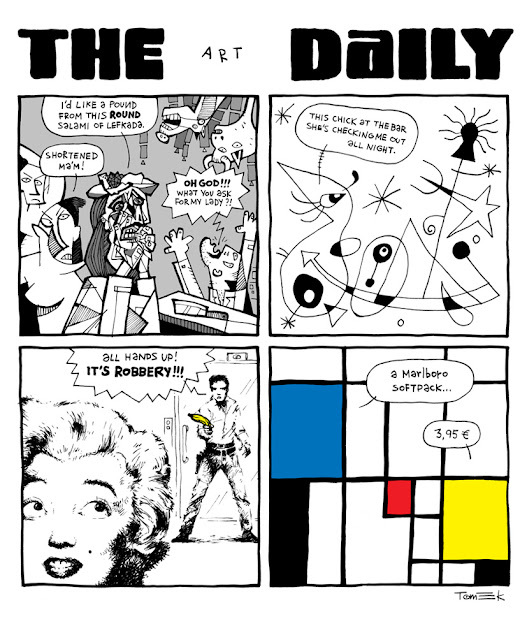 : THE art DAILY! The english version of "THE art DAILY", the strip I did last week for The Very Closed Circle (#TVCC) blog. FUZZ OVERDOSE Records for GARAGE PUNK Tunes! KOULOURI #2 - Cover "Step by Step"